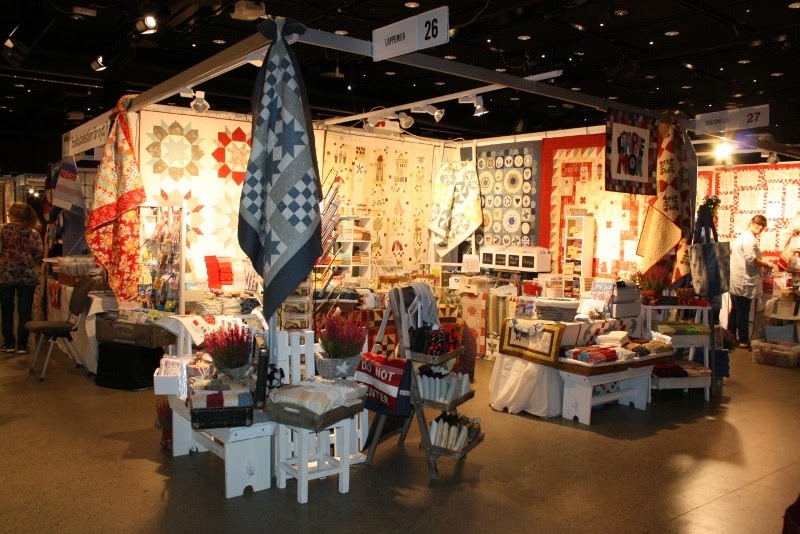 The first Norwegiamn Quilt Festival took place just outside Oslo this past weekend. We've been so busy the last couple of months getting everything ready for our booth there, it was almost unreal when the day arrived when we loaded two BIG cars with all our stuff and headed south. We were pretty busy the whole weekend, so I am sorry I don't have a lot of pictures to show you, but I've seen a few other Norwegian bloggers have lots to show! 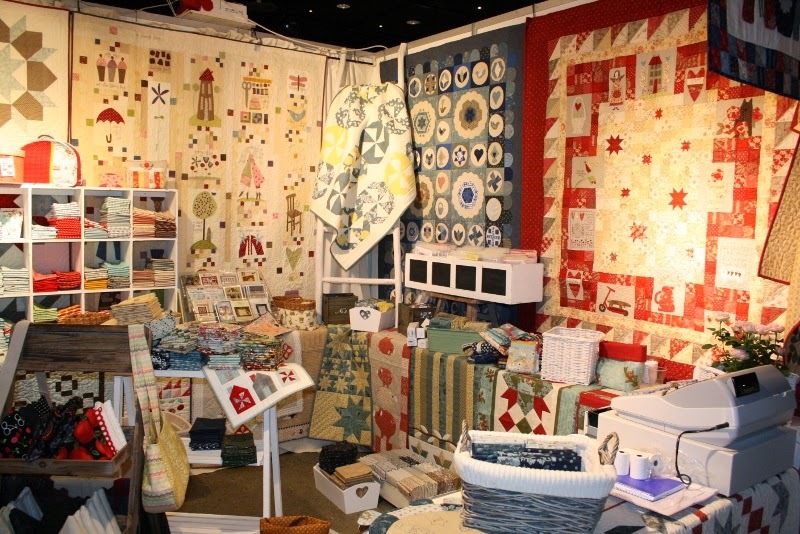 Our booth was small but we did get a LOT of fabrics and patterns in there... And samples of course. We are very lucky to have some talented ladies that help us make samples. We had a corner booth, which is really nice, here is the view from the other side. A little close up.... Some fresh fabric there! And look who stopped by our booth.....Camille Roskelley! She spotted my Swoon quilt and came in to take pictures. We had two other samples from her patterns as well, so it was really nice to meet her, she is so sweet! She taught four classes at the festival so she was pretty busy. There were a lot of great teachers there, so I would have loved to take a class or two! Well, that was just a little peak at what I've been up to, tonight I've actually been sewing a bit again- Yeey! Du hadde laget en riktig fin butikk, Anne Heidi! Jeg prøvde å få tatt bilde av teppet av Natalie Bird, men det var så mange besøkende at jeg måtte gi meg på det. Lurer på å sy dette teppet, men mangler en del av de lyse stoffene. The show stands always amaze me. Such a small space but full of so much loveliness. Your stand looks great, all the hard work and planning was worth it. Wow! 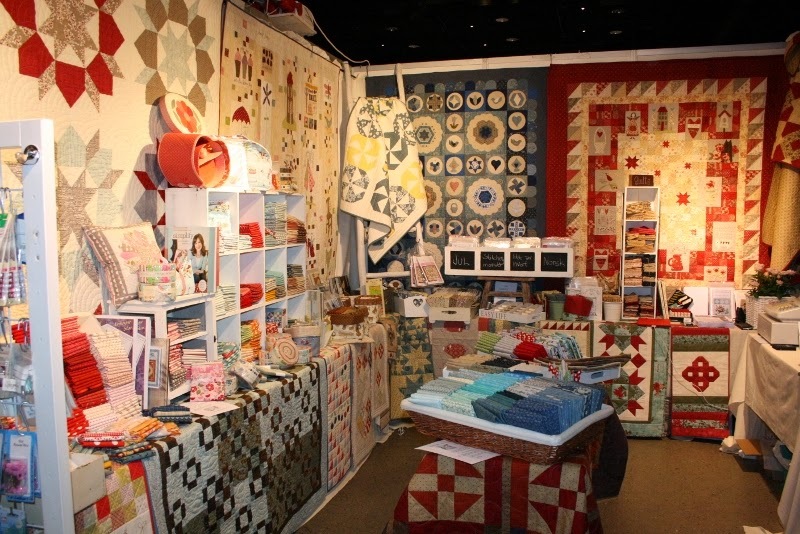 What a beautiful quilts you had in your booth! So pretty :) and so much stuff! Dette virkelig helga med vitamin Q. Du verden for et flott arrangement :) Nå har jeg fått vasket mine stoffer og allerede starta på det nye store prosjektet mitt. Jeg er gal som begynner å sy det , men sånn er det bare. Looks like a fabulous time! 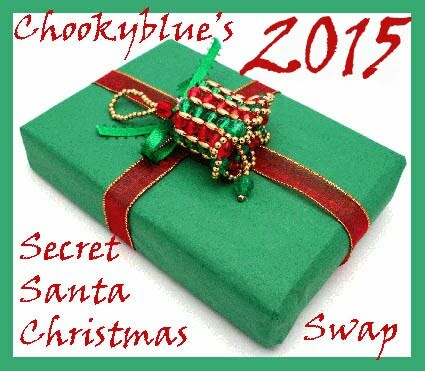 Hope you had a great festival.Your booth is wonderful! Ja, jeg var der... Fin stand du hadde! Your booth looked lovely! Lucky you to have met Camille! Love her fabrics and pattern styles. 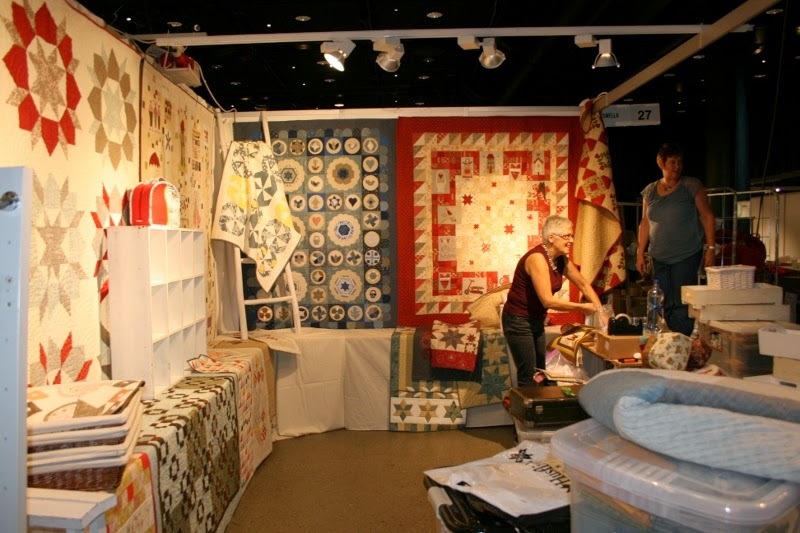 Will you be going to quilt market in Houston? Just curious, as I will be attending. Love market. 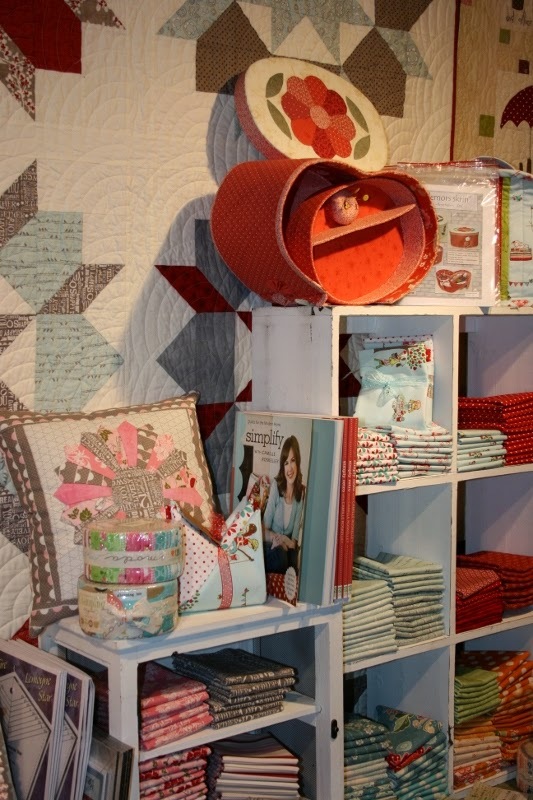 It's like a mini quilting vacation. Cheers!